Editor’s Note: This blog post has been excerpted from an article that was originally published by Scott Krager on his blog. For a bootstrapped startup short on cash but long on passion, SEO can be a phenomenal way to generate sales. The problem: SEO is easy in theory, but actually getting results can be challenging for startups. I spent the past 3 months getting to know a bunch of great startups in Portland, Oregon, as part of the 2nd class of the Portland Seed Fund. 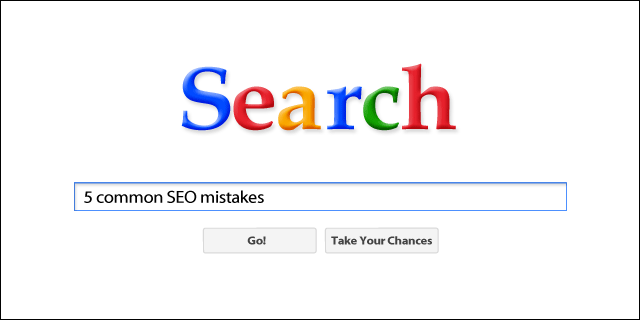 Every bootstrapped startup wanted to “do SEO” but most got caught up in these common mistakes. You should NEVER outsource SEO when you’re bootstrapping. Spend a few hours reading up on SEO basics for startups. Done? Great! You now know as much as the $12/hour agency kid that you might have had on your account. Why so much infatuation with on-page issues? Because they are freakin’ easy things to recommend fixing. You don’t have to pick up the phone and pitch to get a link (oh the horror, the phone), you just tweak some meta things! Low-skilled SEOs love on-page issues. It’s how we can generate, like, 1,000 recommendations for your site! Wow, look at these 1,000 URLs you should rewrite, I’m a frickin’ genius. On-page stuff is child’s play when it comes to SEO. Don’t get caught in the trap of making your site “perfect” for Google. I don’t like using the term “money,” but it’s the best way to describe the phrases or words that convert best in Google/Yahoo/Bing for your startup. I’m shocked at the number of startup founders who have no idea of the WORDS that their CUSTOMERS might use to find their product. I’m talking about your average customer – what words do they use to describe what you offer? You should be tracking your performance for these keywords! “SEO theory” is pretty simple. Actually getting results from SEO? Not so easy. Results from SEO come from a smart brain, measuring results with the right tools, and executing your little buns off. Guest author Scott Krager is the founder at SEO software maker SERPs.com. Scott has been a competitive SEO for 7+ years and resides in rainy Portland, OR.